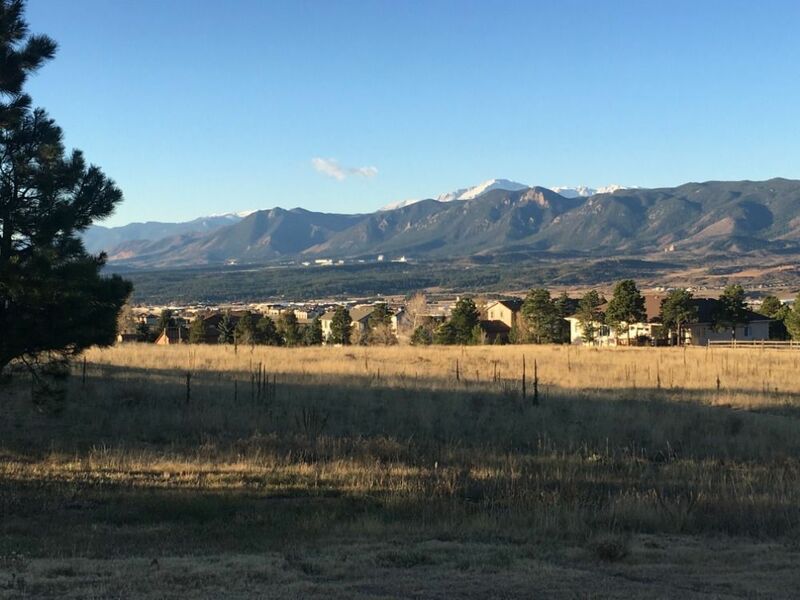 Residents enjoy the 135 acres of open space in the south Woodmoor community for its wildlife and mountain views. The private property was put on the market in May for $4.75 million, making it available to developers who may want to build homes on the property. Concerned homeowners formed a committee to buy the property and conserve it as open space. 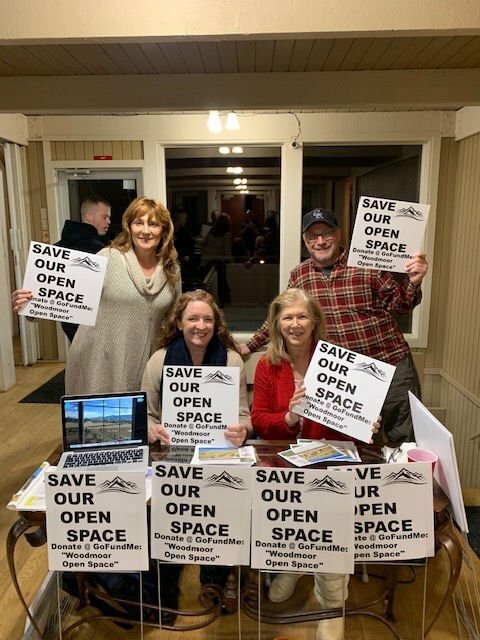 Members of the Woodmoor Open Space Committee attend a homeowners association meeting Jan. 28 to gather support to save 135 acres of open space in the south Woodmoor community from development. From left: Tish Norman, Angie Curry, Nancy Eldred and Tom Snyder. Angie Curry moved to the south Woodmoor community more than two years ago. The 135 acres of open space near her home provided her with a place to enjoy the outdoors. Curry and her neighbors often go for hikes in the field that offers views of Pikes Peak and the Front Range. But those days may be coming to an end since the open space was listed on the real estate market last year. The open space is listed at $4.75 million under the real estate company Quantum Commercial Group Inc. The property is zoned for 1/2-acre single-family homes. Residents are concerned that a developer will buy the land and build homes on the open space known for its wildlife and walking trails. The 135 acres of private property is commonly known as the Walters open space, owing its name to the family who owns the land. Curry bought her home with the understanding that the open space would never be developed. She’s a member of the Woodmoor Open Space Committee, which is raising funds in an effort to buy the property and save it from development. The committee is in the middle of negotiations with the owners of the 135 acres. Since November, homeowners in south Woodmoor who border the open space have pledged money to the committee. At the time of this writing, the committee was preparing to make its third offer to buy the open space. Curry said the open space gives her home that “Colorado feel” without needing to drive anywhere. Co-Chair Tish Norman said the committee has reached 76 percent of its fundraising goal. But with negotiations ongoing, Norman did not disclose what that goal is or how much the committee is offering to pay for the open space. A real-estate lawyer is advising the committee during the negotiations. Residents take turns mowing walking paths through the open space. If the committee succeeds in purchasing the property, the open space could be donated to the local homeowners association with the stipulation that the open space be maintained and never developed. Norman was also under the impression when she bought her home that the open space wouldn’t be developed. Curry said the effort to preserve the open space has brought her community together. The Woodmoor homeowners association tried more than a decade ago to reach an agreement with the property owners that would’ve designated the open space as a conservation area. In 2005, then–HOA President John Ottino was part of this effort to keep new homes from being built on the open space. But without a legally binding agreement, the open space remained up for grabs for any interested developers. Ottino often walks the open space with his dog and became concerned when one day he saw someone appraising the property. The 135 acres was put on the market in May. Preserving this open space will add value to the homes in the Woodmoor community, he said. By not adding new homes, he said traffic in Woodmoor will be less congested and nearby schools will be less crowded.